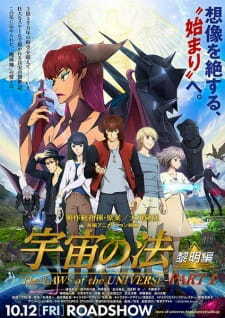 University students, Ray, Anna, Tyler, Halle, and Eisuke are enjoying college life and pursuing their dreams, but in reality, They have a secret mission, to fight against invading Reptilians from outer space. One day, Ray travels back in time to 330 million years ago on Earth, to find his missing friend Tyler who has fallen into a trap set by the evil alien, Dahar. During that time, Alpha, the God of the Earth, was planning to create a new civilization on Earth and invited Queen Zamza and her fellow Reptilian from the planet Zeta, to Earth.